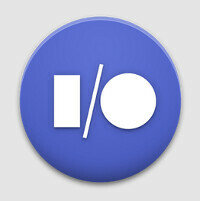 You know that it's almost time for Google I/O, once the official app becomes available in the Google Play Store. With the conference taking place June 25th and 26th, the app is now available for you to download on your Android device. 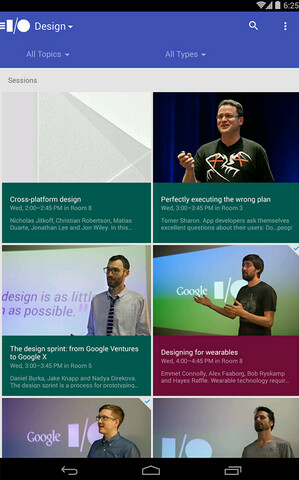 The Google I/O 2014 app is perfect for those who can't make it to the annual developer conference, and is also helpful for those who are attending. Streaming videos of some sessions will allow those off-site to feel as if they are actually in attendance at the Moscone Center. If you're attending, you can set up reminders so that you won't miss any of the sessions that you want to see in person. You can also check Google+ for the quick social media feedback on any announcement made at the show. And with the app, those at the show can have Wi-Fi pre-configured for their device. Whether you're coming to San Francisco or not, video from prior years can be viewed from the video library. It's all free, and is optimized for Android phones and tablets of all "shapes and sizes". This year, attendees could be lucky enough to snag for free the LG G Watch, the first device to feature the Android Wear platform. The Moto 360 smartwatch is also expected to be at the show, along with a third smartwatch from a mystery manufacturer. 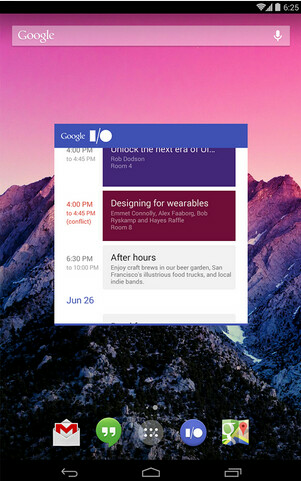 Android and iOS is ripping Windows Phone UI they might as well call their OS. I don't see how any true fan of Android can be happy about imitation. They will kill WP by copying it, it will and isn't no longer unique thx to Android and iOS copying. No everyone is not copying everyone. They are copying WP and not just features its the UI itself. The funny thing is that the haters still bash WP thats the hypocrisy so maybe you should tell them to quit hating what they copy when you see it. And how are Google and Apple actually copying WP? Being flat? How is that even copying? How do these three look the same at all? 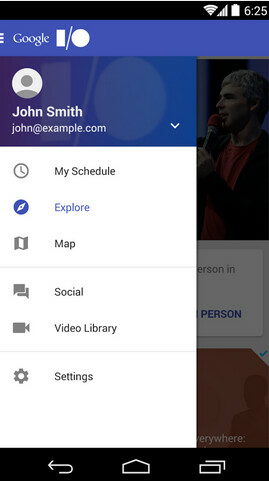 http://cdn-www.xda-developers.com/wp-content/uploads/2013/12/wp81ssscreenshot.jpg https://lh3.ggpht.com/6P83d68pycpdcBXzxbErPK1H23CZ90_pwsp9T46AIEOnLKUvv7OeGgddBEOAxtbdZEs=w800 http://todaysiphone.wpengine.netdna-cdn.com/wp-content/uploads/2013/06/IMG_6043.png And features? WP just had Android notification center, Cortana is basicly Siri, wallpaper has been basic stuff with Droid and iOS for years. Separate volume controls, Android. Close app by using little X? iOS until iOS 7. Everyone is copying everyone. I have a Samsung Oddysey Ativ using the developer version of Windows 8.1 upgrade. Cortana is a Google Now knockoff. The pull down notifications shade is a copy from Android, the same way iOS copied it. Also the quick toggles is also an android steal. Stop being a blind biased fanboy. cortana is like siri, its not a google now knockoff.